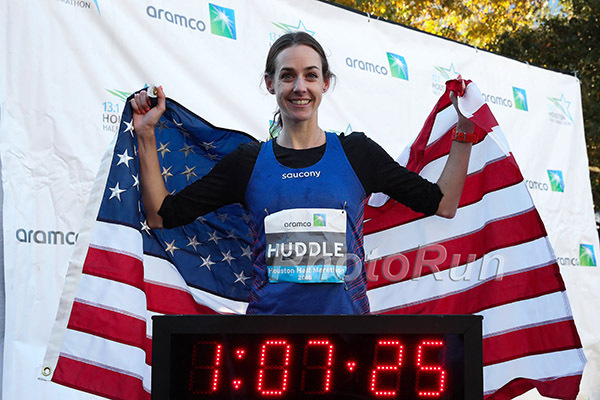 Professional distance runner Molly Huddle set a new half marathon record for American women during the 2018 Aramco Houston Half Marathon. All right, ladies and gents–there’s a new American half marathon record holder in town. 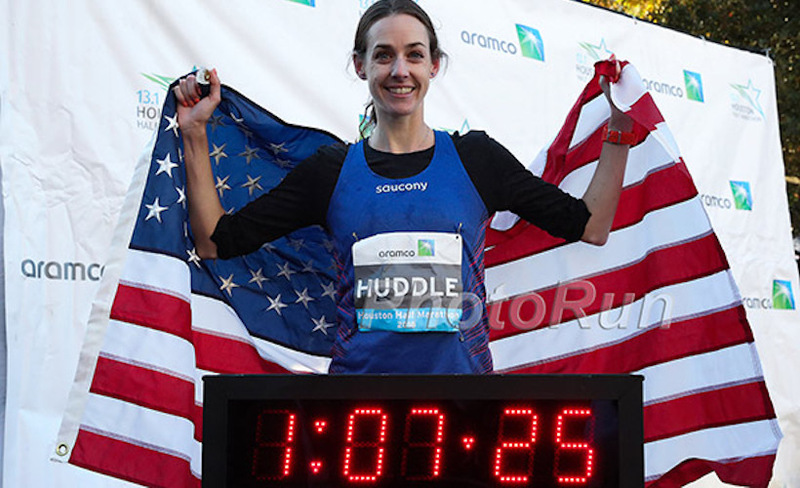 Molly Huddle, who previously set American records in the 5K and 10K, made history yesterday at the Aramco Houston Half Marathon, finishing behind winner Ruti Aga of Ethiopia to place seventh with a time of 1:07:25. 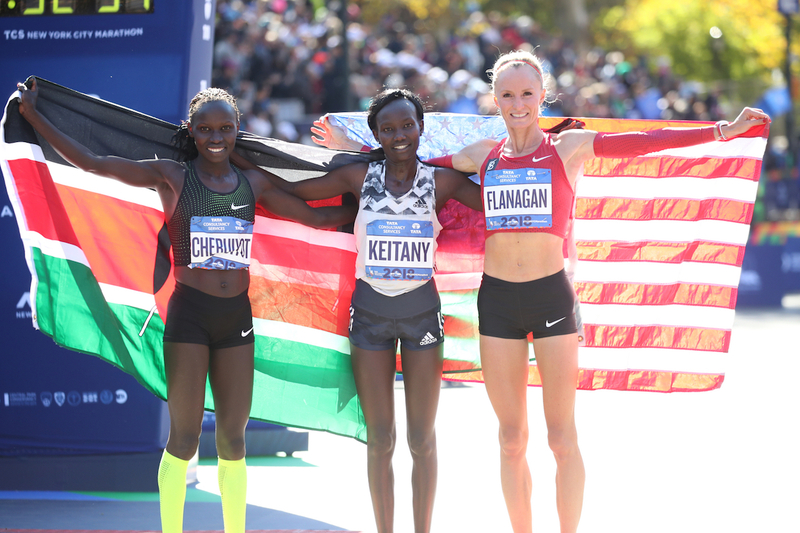 The former American women’s record for the 13.1-mile distance was set in 2006 by Deena Kastor, who raced the Berlin Half Marathon in 1:07:34. 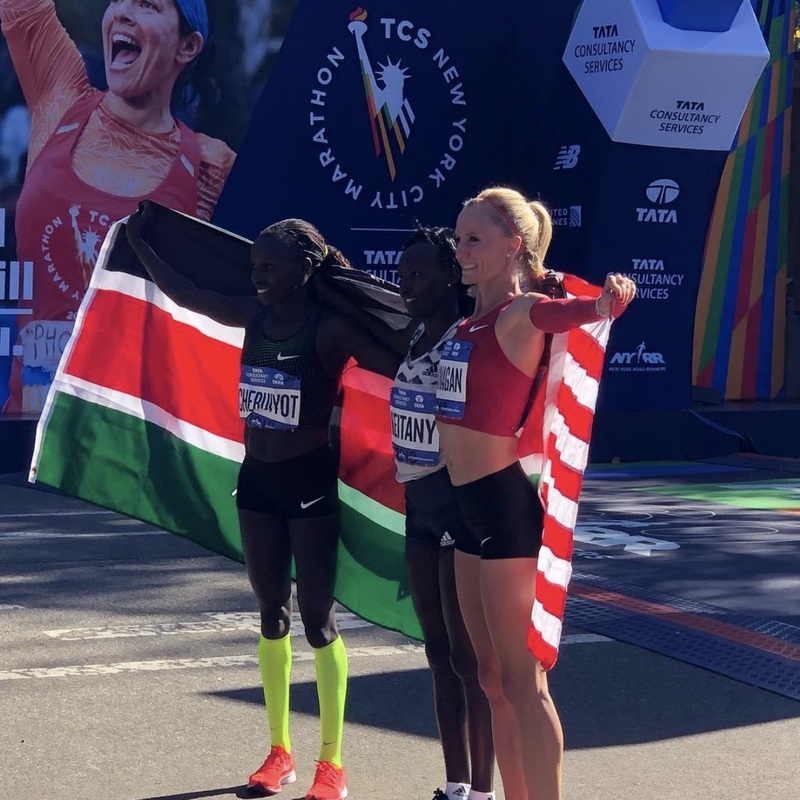 Huddle’s record-setting run came just two months after her win at the USATF 5K Championship in New York City last November, a race she’s won six times and for which she holds the course record of 15:24. It’s also just three months (almost to the day) before the Boston Marathon, in which Huddle is expected to be extremely competitive. Follow this link to view photos from the Chevron Houston Marathon and Aramco Houston Half Marathon, and check back with Women’s Running as we continue reporting on the professional athletes preparing to run the 2018 Boston Marathon.